The BEST location in Scottsdale, Arizona. World-class golf, shopping and cuisine just minutes from our lobby. "Upscale" all suite accommodations in the heart of all there is to see and do in Scottsdale - all for the price of a "standard hotel room". Feature favorites include our daily complimentary breakfast, evening social (mon-thurs) and of course the one thing that makes this hotel an Arizona favorite-our service. Our staff is committed to providing the service you've come to expect from Hilton Hotels . We invite you to join us during your next visit ,business or pleasure, to the west's "Most Western Town", Scottsdale, Arizona. With every stay, our guests enjoy our complimentary pantry breakfast and our evening social every day. We also offer an outdoor pool, sports court, exercise room, and barbecue grill. 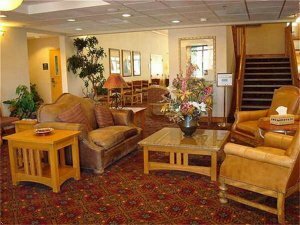 Our guests can also use our coin laundry, meeting space, and complimentary shuttle service.